Women’s connections are a powerful asset that we as females should learn to hold onto. Women naturally have strong hearts, souls and intuitions and our connections stem deeper than we think. Have you ever felt the need to connect with a female you know? But she might not be somebody you’ve seen or connected with in a long time. Well, for us girls it doesn’t have to be because we are all born connected. At least that’s what I believe. 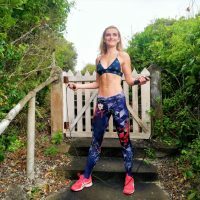 In fact, studies are saying that this connection in women can make us stronger and more successful in many aspects of our lives. Instead of competing against each other, we can help build one another. There’s so much power in it and when one does it, another will follow – just like the butterfly effect. Even a simple phone call with somebody you might’ve worked with previously, or a friend you once knew, can do absolute wonders to your life. 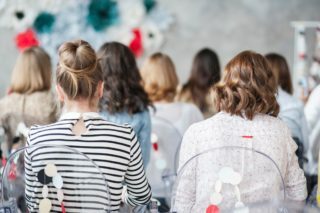 Women’s connections lead to great things and in a world like this, we need to hone in on its incredible powers. Back in the day, competition between women became more prominent because things were fewer and harder to come by. These things included jobs, money, security, quality of life, husbands and even friends. As a result, women began to compete in an effort to stand out, when they should have been rooting for each other all along. Thankfully, we’ve realized this power and the world of women is starting to become more compact. It is so silly that women would feel the need to compete because it’s pretty obvious that this method doesn’t get you anywhere. Instead, there’s extreme power in building each other up and learning to collaborate. I think the old stereotype of women up against one another must fall away. These days, our sisterhood is too strong for that. We are meant to collaborate because this is a sustainable strategy that in turn benefits us all. It’s kind of like a club where we all have a safe place and feel like we belong. The funny thing that you realize when working closely together with other ladies is just how much stronger it makes you feel. Sometimes the road in life can go haywire. When this happens, things can get lonely and seem very dark very quickly. Don’t let yourself enter this place. Remember that you are not alone and no matter how far away you are from each other, in your hearts, you’ve got so much company. You see, once women’s connections are made, they tend to last. 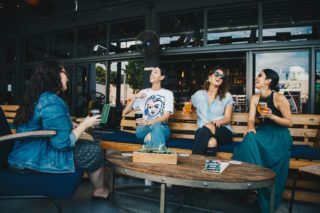 Recent research in the Harvard Business Review found that men and women both benefit from having a network of well-connected peers across different groups. That makes sense. Interestingly, these women with an inner circle of close female contacts happen to hold executive positions with greater authority and higher pay. But when the study looked at men, it didn’t find a link to connections and men’s success. It’s really amazing because it just proves that there could be some kind of spiritual power behind womanhood. If we all believed this, imagine the power we could have. 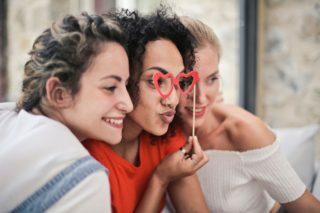 There are a few reasons why women connections are so powerful. However, a lot of it is due to something called unconscious bias. We place this on ourselves without even realizing it. If you’ve got a group of women to support you, then you forget about that negative self-talk and get on with it. These perceptions are quite a lot for women to overcome and we’re born into it. That’s the trickiest part. Hopefully, the more we stick together the easier it will become to get rid of such bias. And because of this, we feel the need to connect with other women and share our experiences with each other. It’s sort of like a, ‘been there, done that’ kind of thing. We must all know our worth and own it by bringing our unique abilities to the table and support systems can help us do this. I know that nothing gives me more confidence than knowing I’ve got my girls and that they have my back. And vice versa. This alone is strong and can carry through the most troublesome times. We should create this support structure and implement it into our personal lives, as well as our business endeavors. Because your women connections are not only your friends, they’re your mentors and even sponsors. Any successful female leader should have a wide circle of closely connected women to spur her on. Besides, talking comes naturally to women. Well, it does for me! That’s an amazing asset right there because you are designed to connect. Get out there and embrace those skills to talk! Share your interests and passions. You never know when it might bring you good fortune. Remember, people want to work with people that they like and aspire to be alike – so don’t be afraid to state your goals, either. Sometimes when I hear that word, it scares me. This is because it feels like work as soon as you say it. However, women connections are built in us and we can create them naturally. We can enjoy making them instead of stressing about speaking to people. If anything, don’t be afraid to reach out and put yourself out there. What have you got to lose? This is your time to establish forever relationships with meaning, integrity, and strength. I think the most important aspect is to remember that establishing any kind of connection isn’t just a one-time thing. You must take the time to follow-up and leave your mark. Imprint on the other person’s life if you must. Because they are going to imprint on you too. Reach out to those that inspire you and ask them for advice. You never know, they might be looking to share their experience with you too. 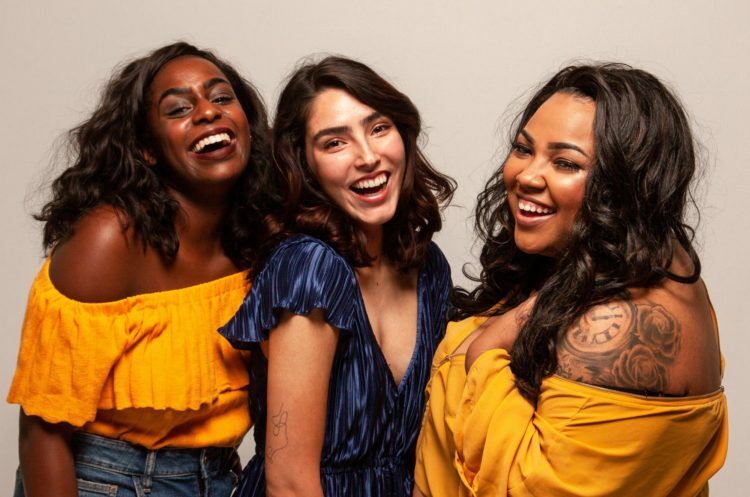 The most important quality of women’s connections is building each other’s confidence and acting as a constant booster. Start thinking of the kind of ladies you want to attract in your life and the kinds of ones you admire. Start connecting with them and learn from what they are doing to help you with your journey. Don’t struggle through life alone, because there is power in this. This is an incredible way to bounce ideas off of each other, seek advice, or get a boost. Not only can you improve your career, but you will boost your mental well-being too! By seeking support, you are also building long-lasting connections and creating limitless opportunities for yourself. And as soon as you get an idea, you know the first place you can go and share it! There’s no better feeling than being part of a women’s group that wants nothing else other than for you to be your best and succeed. Everything falls into place when we start working together. I tried this Peanut Butter and Avocado Brownie recipe yesterday morning before my power yoga class. It was really easy and I felt energized and fueled after an intense workout.